As a person ages, their critical faculties will usually begin to diminish. This can happen suddenly or over a lengthy period of time. While some elders can continue to complete their daily activities well into old age, many will require some form of assistance. If you or your loved one is at the stage where assistance is needed for some activities, there are generally two types of personal care available, those of assisted living and in-home care services. Both of these options have their advantages. However, one of the most important factors in selecting which type you choose is how much it costs to make use of the services. Here’s an in-depth look at the costs of assisted living vs. in-home care services. Both assisted living and in-home care are generally meant for someone that has minimal needs for assistance. The primary difference between the two is that assisted living services are provided in a separate facility, while in-home care services are all delivered to you in the comfort of your own home. In regards to assisted living, each assisted living facility will operate slightly differently, though most offer basic services like living accommodations, security, supervision, meals and assistance with certain daily activities. Some extra services offered by select assisted living facilities may extend to social activities, management of any medications you’re currently taking, transportation and memory care. The type of care provided with assisted living is generally viewed to be between the amount of care found in independent living communities and the more extensive care offered at a nursing home. Residents in an assisted living home will typically receive monitoring on a 24/7 basis. 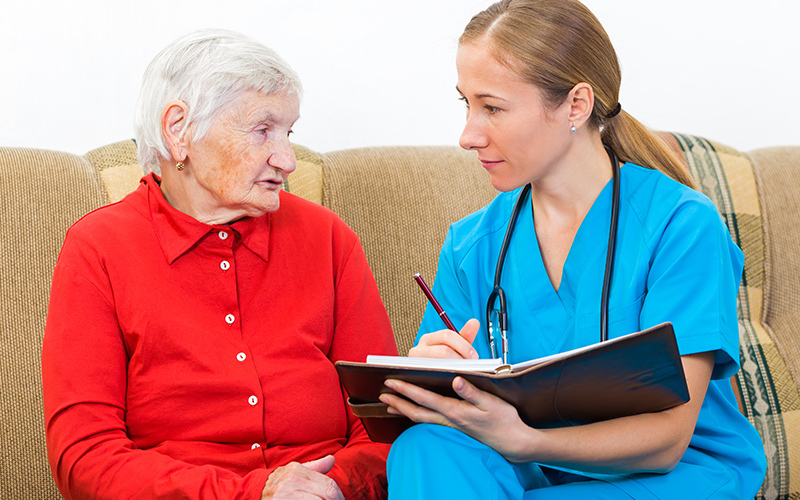 What Are In-Home Care Services? In-Home care services are very similar to those of assisted living, with the primary difference being that in-home care services are provided to you in your own house, as opposed to a living facility. In-home care agencies like ours offer these services for anyone that desires to continue living at home and remaining somewhat independent. Personal care services and supervision are still provided, much like assisted living, but with the added benefit and convenience of being able to remain at your own home, instead of moving to a facility. In-home care is personal, and is designed to provide ongoing care to those that cannot get by entirely on their own. These services are especially useful for anyone that no longer wishes to burden their family by having them provide similar personal care when they visit. The primary services offered with in-home care include all types of custodial care, personal care, domiciliary care and non-medical care. Non-medical care services generally cover meal preparation, laundry, transportation and light housekeeping, as well as the management of your money and using the telephone. Understanding what services are involved is key to knowing more about all of the costs associated with these services. The key to choosing between assisted living care and in-home care services is examining the costs of the two services. However, determining what these costs are isn’t as simple as you might initially believe. The reason for this is due primarily to the fact that in-home care can be requested for a certain number of days each week, and a specific number of hours each day. There are indeed some instances where in-home care will cost a small amount more than the average cost of assisted living. In general, assisted living will cost around $3,500 per month on average. This amount can fluctuate depending on the state and specific facility where you or your loved one is staying. One hour of in-home care for one day each week will cost a total of $80-$90. Ten hours per day at three days a week will still be substantially lower than the average assisted living costs, at just over $2,000. If you require seven days of in-home care each week, and would like to spend less for care than assisted living, consider making use of in-home care for five hours every day, as this should only cost you a little over $3,000 per month. The only instances where in-home care is easily more expensive than assisted living is when the care starts to extend for 10-12 hours per day, for 6-7 days a week. In this case, costs can vary from $5,000 to $6,500 per month. If you want a comparable cost to assisted living, but would prefer to utilize these services from the comforts of your own home, consider requesting seven hours of care for six days every week week. The costs are right around those of assisted living. It’s also important to note that assisted living facilities only average around $3,500 per month. It’s still possible that the ones in your area could run up to $6,000 or more. The best aspect of in-home care is that you can tailor the amount of hours to your exact needs. If you or the person close to you requires 12 hours of care every day per week, then assisted living might be your best option. However, if you can be creative with the amount of hours and days you require the services for, there’s a huge possibility that in-home care can cost much less than staying at an assisted living facility. For example, ten hours of care for four days each week costs a little under $3,500. If you greatly prefer to stay at home when making use of these personal care services, the costs can be maneuvered to your benefit. Now that you’re fully aware of all the costs of in-home care and what the service entails, feel free to contact us to find out how Ally Independence can help you with your personal care needs. Our goal is to make you as comfortable as possible in your own home.